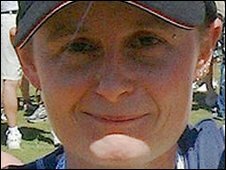 An armed woman who was shot dead by a police marksman in Kent was lawfully killed, an inquest jury has ruled. Ann Sanderson, 37, of Bethel Road, Sevenoaks, died from a gunshot wound to the chest during a stand-off with officers in the town in June 2007. CCTV footage captured her wandering around a car park aiming what was thought to be a handgun at the cameras. The weapon retrieved was confirmed to be an air pistol, capable of firing ball-bearings. Jurors heard Ms Sanderson had a troubled past and diary extracts written by her detailed how she took comfort from self-harming and could trust no-one. The inquest at Gravesend heard she was tormented by memories of her childhood and claimed she had been raped as a teenager. She wrote her inner-most thoughts in a book over a period of almost 20 years, and also described how she took comfort from self harming. One entry said: "There's nothing left in this crazy, untrusting world which means anything to me." She had bought an air gun just days before she died but a close friend said she did not think she had intended to commit suicide. 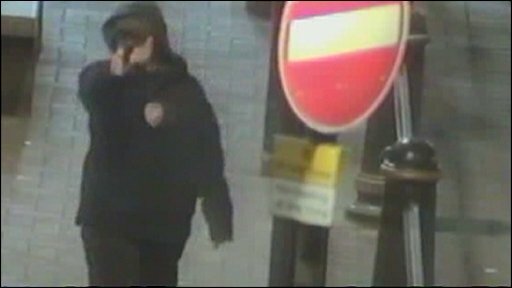 On the night of her death, she was seen with what appeared to be a handgun in the car park by a CCTV operator. She tried to set fire to several commercial wheelie bins and stuck her middle finger up at the cameras. Armed response officers were sent to the scene and, after being challenged by them, she was shot once at 0255 BST. Ms Sanderson was pronounced dead at the scene by paramedics. After a two-week inquest, jurors returned a verdict of lawful killing. The Independent Police Complaints Commission (IPCC) has published its investigations into the shooting. Investigators found "certain failings" in the role of an inspector who was not aware of the relevant intelligence regarding Ms Sanderson. They said he was not aware of a note discovered by police officers in a previous encounter with Ms Sanderson that intimated her suicidal thoughts. However, the IPCC said the failings did not have a "negative impact on the incident's outcome". IPCC Commissioner Mike Franklin said: "We have found individual failings on behalf of one officer, but the overall sense from the evidence I have seen is that Ann Sanderson instigated the situation." Assistant Chief Constable Andy Adams, of Kent Police, said every death as a result of a police shooting was "deeply regrettable" but officers had a duty to protect the community.